Meredith McIntyre is a Bedford, Indiana attorney who practices law in the areas of divorce and custody disputes, visitation and parenting time matters, third party custody disputes, adoptions and guardianships, as well as in the areas of personal injury, wrongful death, wills and estates. Meredith has practiced in Bedford, Indiana since 1983. Meredith devotes the largest part of her time to divorce and child custody matters. Meredith has been designated a Certified Family Law Specialist and a Registered Family Law Mediator. Meredith's expertise in representing parties in divorce and custody disputes is well established based upon her long years of practice in these areas. Meredith also has a substantial practice in third party custody matters. Meredith routinely represents grandparents, stepparents and other defacto custodians in obtaining custody of minor children. Meredith has substantial experience in helping parties who are not necessarily biological parents of minor children in obtaining custody of minors who are in need of care and nurturing that is being provided by individuals who are not necessarily the biological parents. Meredith also practices in the areas of wills and estates. Meredith has substantial experience in helping individuals in probate matters. A native of Anderson, Meredith has lived in Bedford, Indiana since 1980. She completed her undergraduate and law degrees at Indiana University, Bloomington. Meredith is a member of the Indiana Bar. 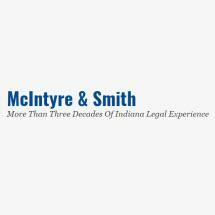 Meredith's professional associations include the American Bar Association, the Indiana State Bar Association and the Lawrence County Bar Association. Meredith practices across all of Southern Indiana, and spends the majority of her time in Lawrence, Orange, Monroe, Martin, Washington, Jackson, Daviess and Dubois counties.